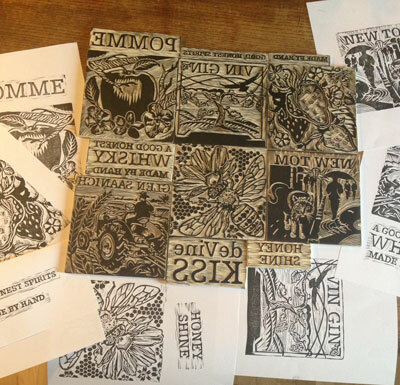 Hitting my stride with labels designed around linocut illustrations. 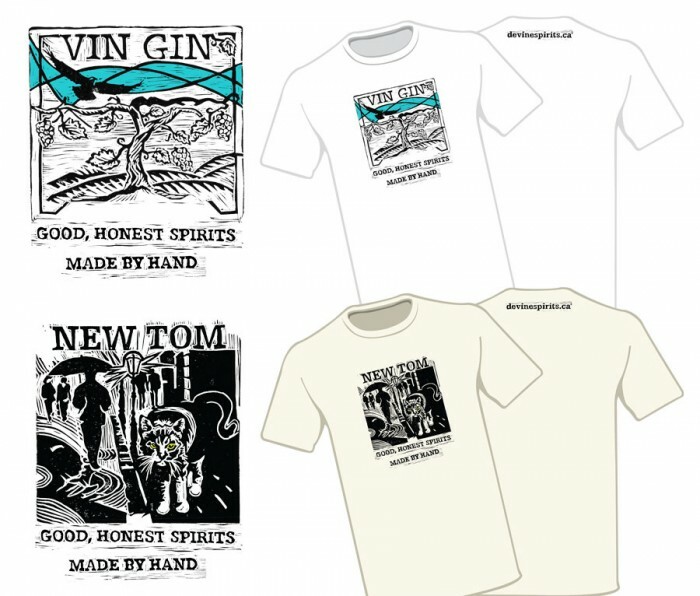 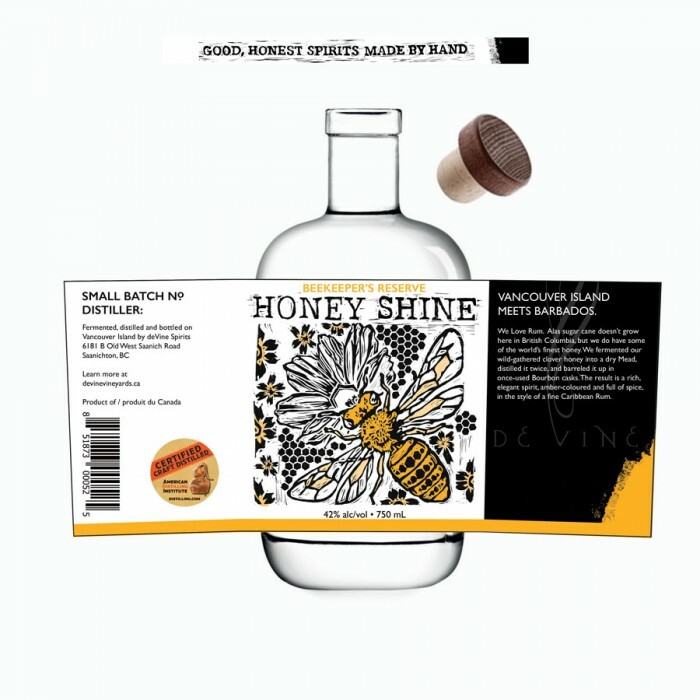 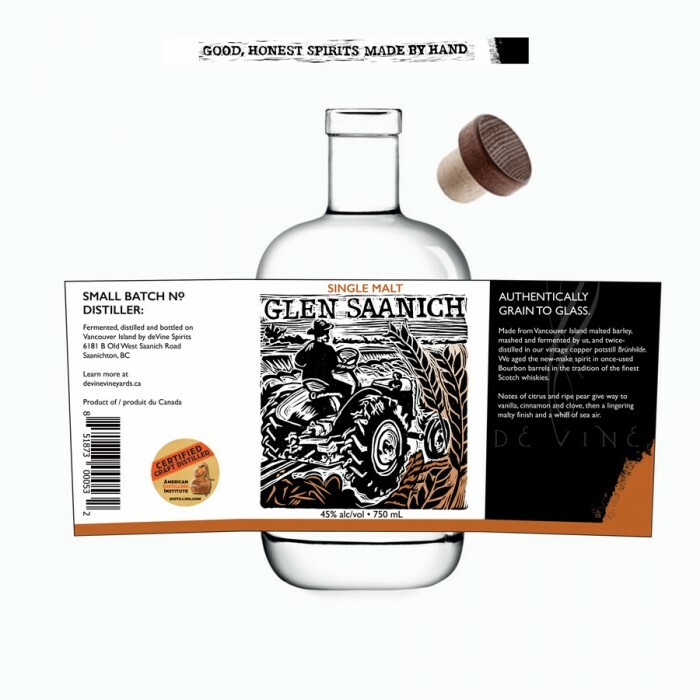 DeVine spirits asked me to develop branding and art for their launch which comprised of Vin Gin, New Tom Gin, Honeyshine, Glen Saanich, Pomme and deVine Kiss. 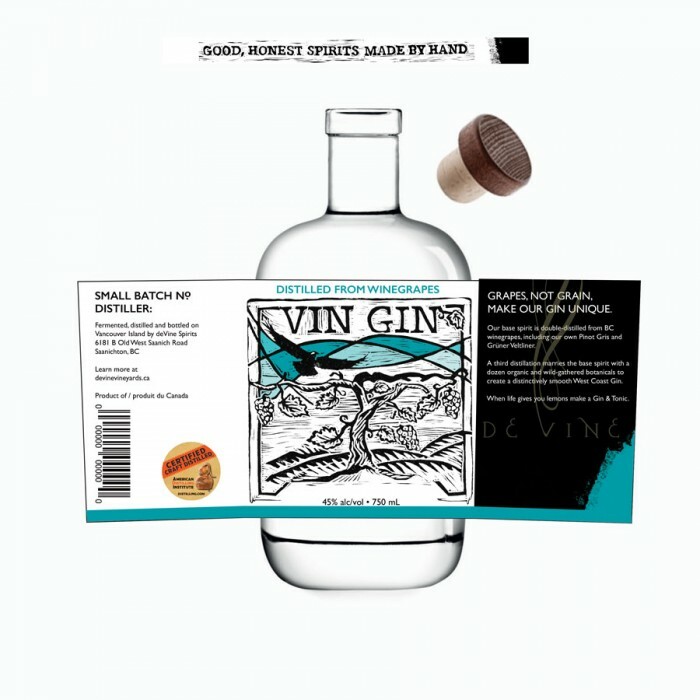 Staggered release as the individual spirits age, some are out and available already.